The biometric measures that come from our body can act as early warning signals that something is not quite right. If we ignore them, just like my neighbor ignored his check engine light, the odds of developing potentially fatal chronic diseases go way up. Biometric screening is a foundational aspect of every successful wellness program. It allows individuals to identify early warning signals. Among US adults, there are a lot of early warning signals coming from high blood pressure, high blood cholesterol and high blood glucose. Recent government-sponsored surveys looked at over 3,000 wellness programs and discovered that 62% of all wellness programs include biometric screening. Among those same 3,000 programs here is a chart that shows the screenings that were included. 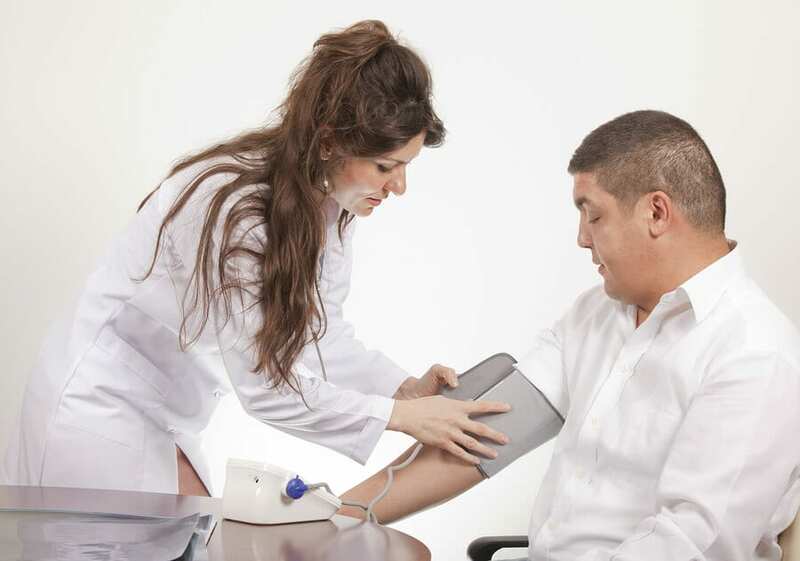 The number one thing workplace biometric screening programs are testing for is blood pressure, followed by blood glucose, blood lipids, and body mass index or body fat. These four risk factors are the main focus of almost all screening programs. Increased competition and increased availability of screeners has made the cost of screening relatively low. 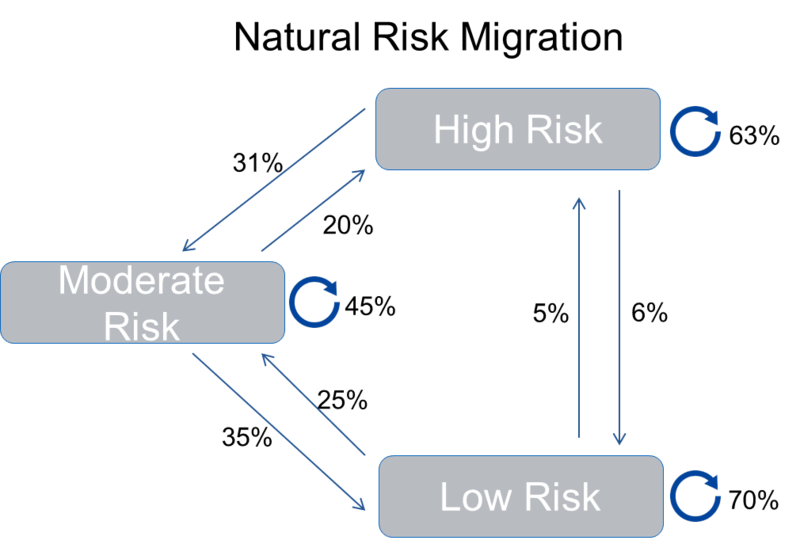 It doesn’t take much to take a quick look at each of these four risk factors. Wellness programs that can help individuals identify their health risks and improve their health behaviors will have a direct impact on the length and quality of life of their employees. 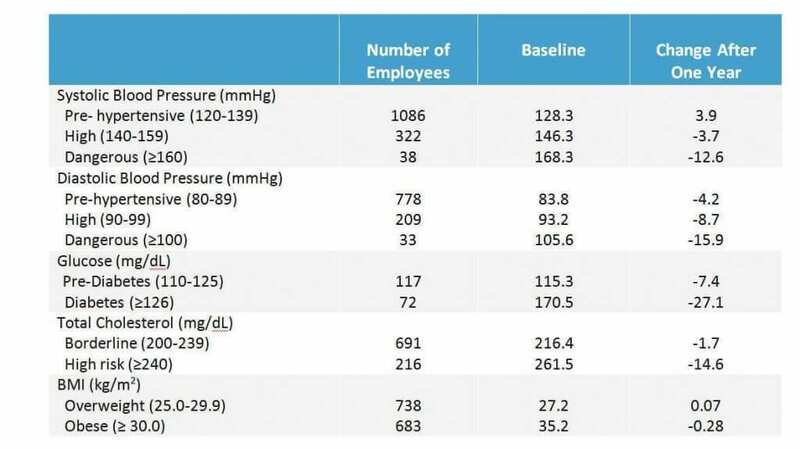 Biometric screening and intensive follow-up are probably the single most important thing wellness programs can do to improve employee health. Despite the health advantages of having lower health risks, there is another reason why employers offer biometric screenings. Many employees like to track their own personal health. 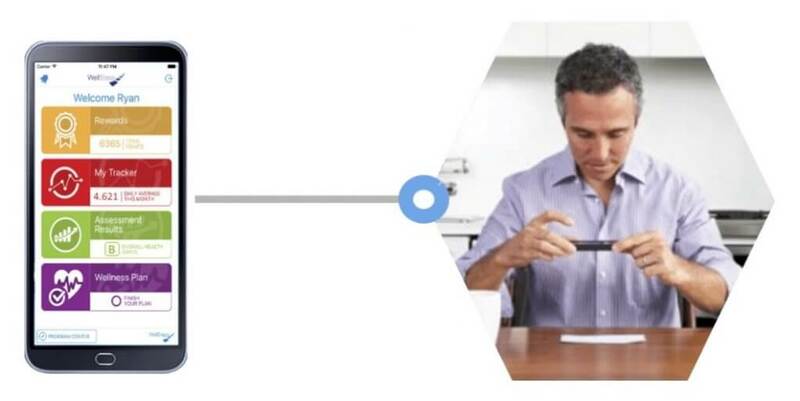 Biometric screening is like your own personal health dashboard. There are many options when it comes to gathering biometric data. If many of your employees are located in one geographical location, you might consider using an onsite biometric screening where a vendor comes in and gathers biometric data for all your employees at once. If you have remote employees, multiple locations, or logistically cannot perform onsite screenings, your options include at-home testing kits, individual screenings with a primary care physician, or individual appointments at a third party screening facility. On-site screenings can cost between $45 and $70 but may require a minimum number of individuals. Getting biometric data during a physician’s office visit generally costs between $100 and $200. It’s cheaper for groups that are self-insured to do screening on site but if your organization is fully insured, employees can get their biometric data measured for free as part of their preventative services which are now covered by most health plans. Take-home biometric screening kits cost between $40 and $50 each. Besides the cost of the actual screening, there are other costs that employers need to know about. Encouraging employees to do a biometric screening will cause some employees to have a physician’s visit and possibly start taking medications. That office visit and those new medications are additional costs that can add up. I am currently involved in an analysis of the pharmaceutical costs for a wellness program. Early evaluations suggest that employees who do biometric screenings have higher pharmaceutical costs than those who do not. This is to be expected since the most common medical treatment for elevated health risks is medication. Biometric screening is the right thing to do to prevent chronic diseases and early death, but workplaces should realize that with all preventative services there is an associated cost. Individual employees who get their biometric data from a kit, or their personal physician can email or fax a copy of their results. One of the quickest and easiest ways for wellness programs to receive biometric screening results from individual employees is to use the WellSteps app. Employees open the app and take a picture of their biometric screening form which is automatically uploaded to a secure file. The WellSteps staff then verifies that the information is complete and uploads the biometric values so that it integrates with personal health assessment data. Just about everybody has a smart phone, which means just about everybody has a way to very quickly and easily verify that they’ve completed their biometric screening. Most of the time, individual employees who participate in WellSteps will upload their data from a recent physician’s visit. 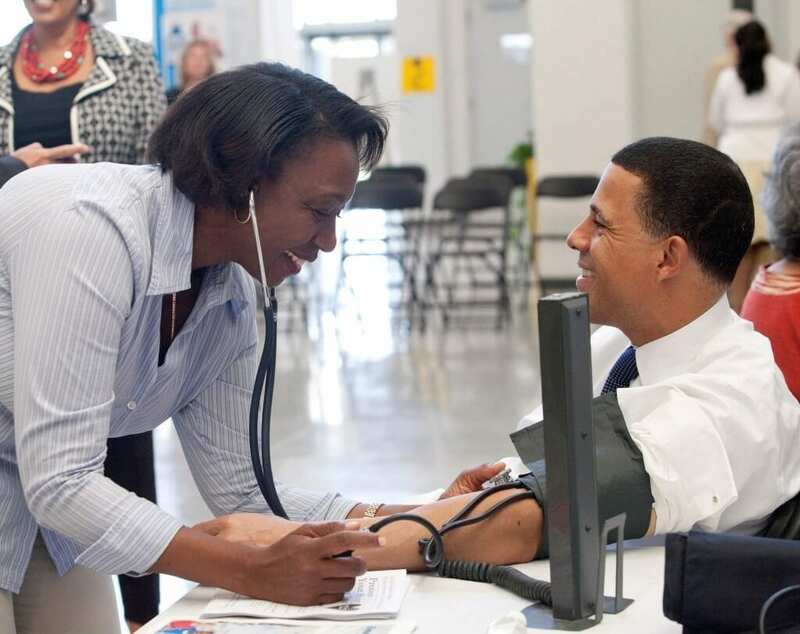 Over the years, WellSteps has used a variety of partners to conduct biometric screenings. Acquisitions and mergers within the industry have influenced both the price and quality of the screenings. WellSteps currently uses Onsite Health Diagnostics, but we are always reevaulating our vendors to make sure we have the best in the industry. How Often Should Employees Get Screened? 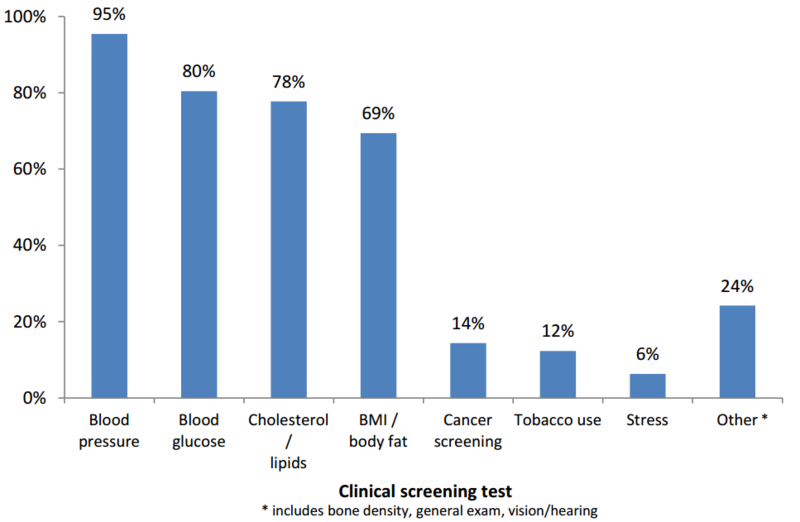 Relative to other wellness interventions, screening is very costly. The cost of annually screening every employee is always greater than any possible savings that might come from reduced chronic disease incidence or premature death. This approach makes the economics of mass biometric screening very dubious. Most workplaces either don’t know about these recommendations or they don’t care. That is unfortunate, because they represent an enormous amount of careful research, consideration, and recommendations by an independent panel of professionals! The recommendations are the best information we have on how often to conduct screenings. Despite these recommendations, WellSteps has worked with clients in the past who insisted that their employees be screened every year. They ignored the scientific guidelines because their employees liked to track their own biometric data. A pretty expensive way to monitor data that doesn’t change much over time. Armed with the U.S. Preventive Service screening recommendations, I consulted with a group to help them see that doing biometric screening every year was not a smart use of time and money. We talked about the specific recommendations and even calculated how much money could be saved if they were followed. But then we talked about how much the employees loved getting their biometric data each year. The act of getting screened had been part of their incentive plan for many years and employees mentally associated the screening with a monthly reduction in their healthcare insurance premium. Each year, all the employees who wanted the healthcare premium reduction had to complete the biometric screening and each year, many of the employees were excited to share the results with fellow employees. The act of screening itself had become part of the workplace culture. Despite the cost savings that could have been realized from following the recommendations, they continued to do the annual screening. In their eyes, there was more value in the screening process than there was in actual savings associated with following national recommendations. Annual screening had become a ritual within this organization that everyone looked forward to and actually enjoyed. After hearing their arguments, it became clear that the second answer to the question, “How often should employees get screened?” was as often as you like. This particular group has been doing annual biometric screening for over five years and to them, the extra cost of the screening was worth it. So there are really two answers to the “How often” question: 1) follow established biometric screening science so you can optimize your wellness dollars OR 2) throw the science to the wind and let your employees engage in an annual biometric screening ritual so long as you have the budget for it. And neither one would be wrong. Despite what actually happens in many wellness programs, there are actually two important parts of having a successful biometric screening program. The first part is gathering data (bloodwork and measurements) and generating risk scores. This is the easy part. In fact it’s so easy you can buy a kit and do it yourself at home. Biometric screening and subsequent behavior change are some of the most rewarding aspects of employee wellness programs. This is where we save and transform lives. We have fun and do fun activities, but at the end of the day, it’s about improving the length and quality of people’s lives. If the goal of your wellness program is to improve employee health and reduce healthcare costs then helping your employees complete a biometric screening and behavior change program are a must. Done right, biometric screening and subsequent behavior change programming will likely be the most effective part of your wellness efforts. Any wellness program that can document significant reductions in elevated health risks is well on its way to reaching its wellness goals. Improved health risks is also a good indicator that the wellness program has been properly designed and executed.